One area of expertise PMC specializes in is filter molding. We provide filter molding for a wide variety of filtration applications, such as oil, water and air. Oftentimes, filter molding requires special accommodations for complex geometries and shapes, as well as a wide range of sizes. 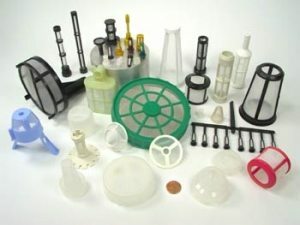 Our scientific plastic molding and advanced manufacturing processes allow us to create filtration products in any shape or configuration – from simple, traditional components like mesh screens to highly complex devices like custom plastic filters. Completed filter assemblies usually include a plastic structural component, the filtration media and, in some cases, an additional gasket or fastener. All of these components can be fabricated within the molding process or implemented through plastic welding. The end result is a finished product with assured quality at an affordable cost. Thriving in the plastic molding business for nearly 50 years, we have the experience and certified in-house Master Molders to take on simple and highly complex projects – whether it’s improving on an existing mold design or providing a unique solution based on specific performance requirements. 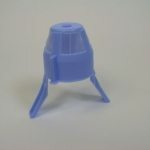 We provide a comprehensive range of plastic molding services, including mold design assistance, modeling, prototyping, manufacturing, and testing. Partner with PMC early in the development cycle, and take advantage of our filter molding expertise to maximize product performance. It’s our proactive, Master Molders that help your plastic filter achieve optimal results. Our experience in new product development and mold design assistance helps you establish your application’s specific requirements, translating your design into a highly effective and affordable filtration product that’s best suited for its intended application. Through it all, a dedicated project management team ensures you receive the efficiency and personal service you need to reduce product development costs and accelerate your time-to-market. From concept to finished product, we provide a host of value-add post molding operations that translate into a superior product, a competitive price, and a low-variability product that meets spec in every respect.